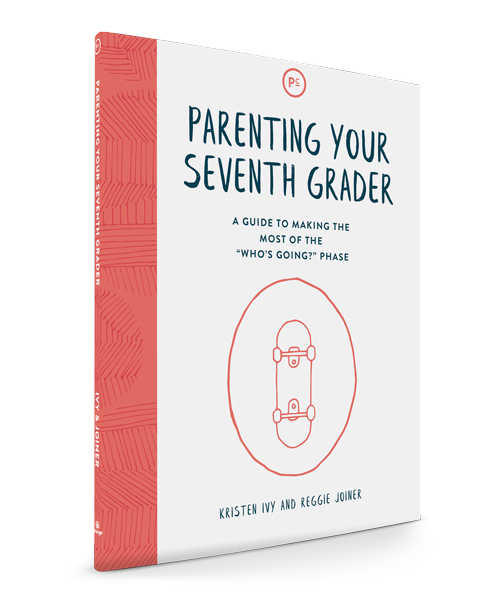 Parenting Your Seventh Grader is a concise and interactive guide through that simplifies what you need to know about seventh graders in general and gives you a place to discover more about your seventh grader—so you can make the most of this phase. Discover . . .
What’s changing about your kid over the next 52 weeks, the 6 things your kid needs most, and 4 conversations to have in this phase. Parenting Your Eighth Grader is a concise and interactive guide that simplifies what you need to know about eighth graders in general and gives you a place to discover more about your eighth grader—so you can make the most of this phase. Discover . . .
What’s changing about your kid over t he next 52 weeks, the 6 things your kid needs most, and 4 conversations to have in this phase. Parenting Your Ninth Grader is a concise and interactive guide that simplifies what you need to know about freshmen in general and gives you a place to discover more about your ninth grader—so you can make the most of this phase. Discover . . . Parenting Your Tenth Grader is a concise and interactive guide that simplifies what you need to know about sophomores in general and gives you a place to discover more about your tenth grader—so you can make the most of this phase. Discover . . . Parenting Your Eleventh Grader is a concise and interactive guide that simplifies what you need to know about juniors in general and gives you a place to discover more about your eleventh grader—so you can make the most of this phase. Discover . . . Parenting Your Twelfth Grader is a concise and interactive guide that simplifies what you need to know about seniors in general and gives you a place to discover more about your twelfth grader—so you can make the most of this phase. Discover . . .
what’s changing about your kid over t he next 52 weeks, the 6 things your kid needs most, and 4 conversations to have in t his phase.